It is a great time of the year to fix your family some pumpkin waffles for breakfast! 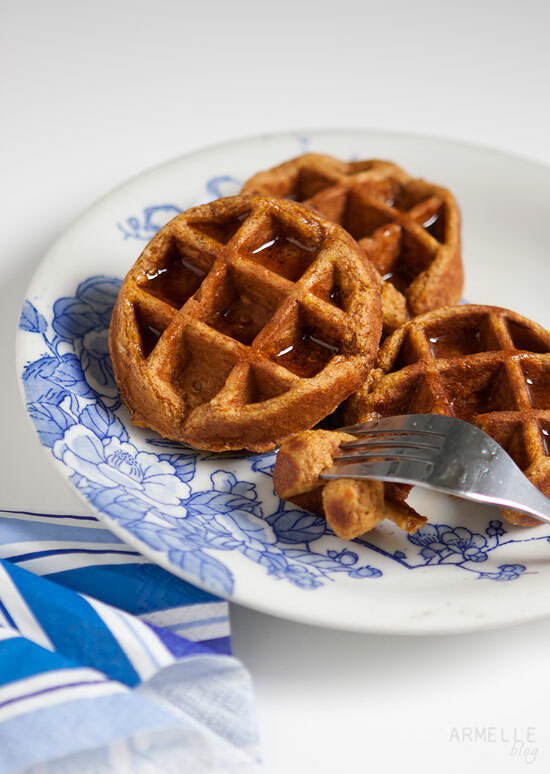 Pumpkins are highly nutritious, so I decided to add some puree to my homemade whole wheat waffle recipe! I added some classic pumpkin pie spices like ginger, cinnamon, nutmeg, and all spice. They are so tasty and flavorful! Serve them with a little maple syrup, and they are a perfect addition for your table this holiday season! Mix together all of the ingredients in a large bowl just until incorporated, it may still be a little lumpy, but don’t over mix once the ingredients are mixed together. Fill a waffle iron according to the size of your iron, and cook, serve with maple syrup.